"We have thought carefully about the impact on our customers and our own business before deciding to increase our prices. We understand how difficult it has been for householders and businesses in the recent tough economic conditions. For the first time in two years, stamp prices will change. 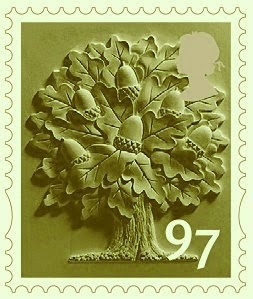 On 31 March, the price of a First Class Stamp will rise by 2p to 62p. Royal Mail, under the current regulatory framework, could have raised the price of a Second Class stamp to 57p. Instead, the price of a Second Class stamp will rise by 3p to 53p. Royal Mail’s stamp prices are among the best value in Europe. The European average for First Class letters up to 100g is 67p. 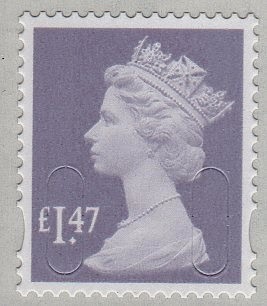 The UK First Class stamp price remains well below this. 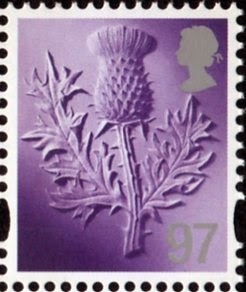 The European average for Second Class letters, up to 100g, is 60p; the UK Second Class stamp price remains well below this. The UK has the highest quality specification of any major European country. Last week, we reported that we were on target for First Class delivery after the third quarter of this financial year, and were ahead of our Second Class target. Our Guaranteed service offers next day delivery, great value features, generous compensation and market-leading quality of service. Prices start from £6.40 [£6.22] for 1pm delivery and £18.18 for 9am delivery. 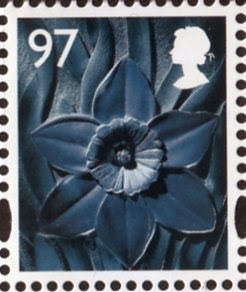 Impact for new stamps: the basic 1st and 2nd, Large Letter, and inland Signed For and Special Delivery rates are catered for by existing stamps. Changes will be necessary for stamps for international services. The current airmail rates to 100g will change from 7 steps (10, 20, 40, 60, 80 & 100g) to just three four. 81p Holly Green (correction - not 88p) - Surface mail rate worldwide up to 20g. UPDATE 19.03.14: These pre-release images have been provided by Royal Mail - I hope that the £1.47 will be less insipid in reality. 81p - 16/01/14; 97p - 17/01/14; £1.47 - 20/01/14; £2.15 - 21/01/14. Cylinder blocks: England (at least) exists with C1 and C2 black cylinders. 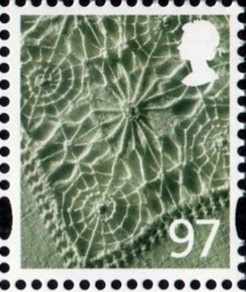 England and Scotland stamps are printed with plates of 8 sheets each. Wales and Northern Ireland are printed one one plate with 4 sheets of each. Surface mail, now known as International Economy will also change, with the minimum rising from 78p to 81p. 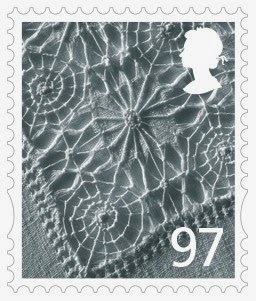 No new 81p stamp has been announced. There is a greater impact for Post and Go Stamps (Faststamps). Even now the machines dispense two stamps with the same value for different services (Europe 20g, Worldwide 10g). In future Worldwide 10g and Worldwide 40g will not be required. I'm awaiting for clarification but have been told that the 10g will be valid for the 20g rate andThe Worldwide 40g will be valid for the 60g rate. Since writing the above the 10g rate has been reinstated, and is 97p for Worldwide Postcards and Letters to 10g. But on both Wincor-Nixdorf and NCR Post and Go machines (and the BPMA machine) I've been told that the new stamps will be available from start of business. A notice should tell customers wanting Worldwide 10g to buy Europe 20g. At a later date the Worldwide 10g option will be reinstated under the 'post an item' menu. E and Europe 20g stamps are valid at the 20g Europe rate, currently 97p. Worldwide Postcard stamps are valid at the current Postcard (and Worldwide 10g letter rate), also 97p. Worldwide 20g stamps are worth £1.28. Worldwide 40g stamps are valid at the Worldwide 60g rate, currently £2.15. These stamps, like inland NVIs, will continue to increase in monetary value on the next change of tariff in March 2015. All E, Europe, and Worldwide stamps can be used on inland post, in the same way that 2nd, 1st, and Large Letter stamps can be used on international post. 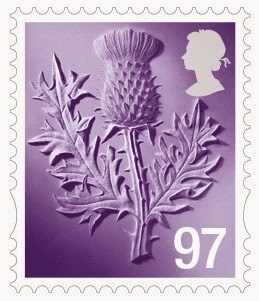 I wonder if they will think it worthwhile to issue a 9p stamp for making 2nd class stamps up to 1st class. Probably not a huge demand, but could well sell more of these than the surface mail stamps which appear to have very low sales. Presumably the WW 40g Post & Go (Faststamps) will still be valid for actual postal usage with a face value of £1.88 towards the £2.15 or above rate? Ditto for the WW 10g with a face value of 88p face towards the £1.28 or above rate. If so, it is going to get pretty complicated for both customers and Royal Mail calculating the make up values. Or is it perhaps the case that having bought them, a customer is not actually expected to want to use them for postage. With the unused quantities of Post & Go (Faststamps) in dealers/collectors hands it will be interesting to see how this develops. Could not the Worldwide 10 grams later be counted as worth £1.28 as the old value and rate has finished. Also the 40 grams counted as payment of £2.15 it should not need another 27p to cover for anything up to 40 grams. It will need sorting, i doubt if they even know an answer. The RM twitter peeps didn't seem to know the answer about the Post and Go Worldwide 10g validity... Hopefully, they'll get back to Ian with a "nice" answer. The 10g value will be valid for the 20g rate and the 40g will be valid for the 60g rate - no extra to pay. How sure are you? This will interest the UK Postcrossers..... I don't have a Post & Go machine near me, but may have to send my mother.... Not used any of that form of postage... is there a "use-by" limit after buying, etc? What about the old Worldwide Postcard stamp from 4 x Worldwide Postcard books? These are still available through retail outlets. I assume these will now be valid for Worldwide items up to 20g? Can anyone confirm this too please? Hopefully Brian's comment on validity above is correct as it will make administration etc so much simpler for all. He seems very definite, so it would be helpful to know the source of the information, or even better to see something "official" in writing to confirm it. Three weeks later, Royal Mail have restored the 10g Airmail rate, so the Worldwide 10g is unlikely to be valid for 20g items. Given that there are very many stamps pictures on Royal Mail Group's website, I think something more specific would be useful, please. Is there any news yet of a FDC facility via the postmark bulletin for the new post and go stamps when the postage rates increase. 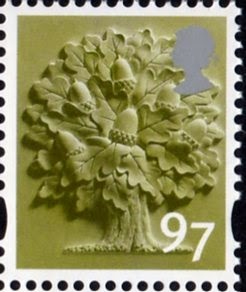 Apart from the very first sets of brown which was sold in a pack of 5 values, and the first set of blue Machin heads, Royal Mail have only ever produced FDCs for the designs, rather than the values. I don't think Royal Mail will regard this as a new issue. Wincor-Nixdorf: Machin head, Spring Blooms, various Freshwater Life, possibly Farm Animals, Union Flag, and maybe the odd Birds 4 ? NCR: Machin head, Spring Blooms, Union Flag? And in all cases, will Machin head be MA13? I doubt anybody will get a complete collection! how much for special delivery 500g? There's a link to download the rates leaflet at the end of the blog post. Another nail in Royal Mail's coffin!. They should have left prices as they were. Do they not realise that they are continuing to lose business to e-mails and social networking? How are your online orders delivered? How do you think I get my supplies to my customers? Social correspondence may be all but dead but mail-order continues to grow. "Stamps are not accepted on Royal Mail parcels"? Since when? I regularly post parcels with stamps and have never had one returned not delivered. Shame about the price rises though - they're bit huge but it does make calculating stamp values much less simple than the round 50p and 60p values. Stamps are accepted on 1st and 2nd class inland parcels, but not on 'Parcelforce Worldwide Express 48' as far as I know - which includes inland over 20kg and lower weights with a 48-hour delovery guarantee, and anything lighter than 20kg but larger than the size limit for medium parcels. No new 9p stamp? As machinmaniac has already mentioned, it would be useful for upgrading 2nd to 1st class, but also the 88p (I have quite a few I haven't yet used) to 97p new international rate. "The 10g value will be valid for the 20g rate and the 40g will be valid for the 60g rate - no extra to pay"
But if you are sending a heavier item overseas or inland, you still need to know what monetary value the stamps will have. Whatever happens you can't lose, Worldwide 10g stamps will not be worth less than 88p. Although this may be the case, is it worth chancing that some ignorant jobsworth in a sorting office wont reject it anyway? I have had similar surcharge problems with RM staff not squeezing the air out of a jiffy bag before measuring its width, and also the dreaded 1/2p issue. Given that so much mail doesn't get looked at in the sorting offices and doesn't get postmarked I wouldn't worry about it at the sorting office. Counter staff are the ones you will have to convince if posting over the counter. Point taken but both of the examples I mentioned above are from items stamped up by me and put into a pillar box, then falling foul of an idiot at a sorting office who didnt know the rules properly. As Royal Mail have now acknowledged that the 10g rate remains after Monday, the Worldwide 10g will not be valid for items up to 20g. I'm going to go and buy myself an anorak, thermos flask and notebook and go and stand by the railway sidings! Interesting that 'first' leaflet states them to be PVA gummed but shows them with security slits! The First person to identify a totally accurate Royal Mail publicity communication should win a prize! Are the 'E' stamps still valid for postage on letters to Europe please? Yes, E stamps are worth 97p and can be used inland, to Europe, and worldwide. Some people in the Post Office don't seem to realise the E NVI stamp has a value of 97p. I had a letter returned 'for insufficient postage', then took it back to the Post Office who said everything was fine. The Royal Mail should educate their staff better. Your first sentence may be correct but it is erroneous. The fault lies with Royal Mail as you rightly point out in the final sentence. It was RM that returned your letter, not PO. 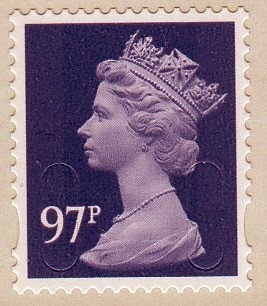 Mind you, I'm surprised that the PO got it right, there haven't been any E stamps for that many years! As indicated above the Worldwide 40g stamp is now valid for up to 60g and therefore has a monetary value of £2.15. The Europe 40g is worth £1.47 (60g rate), and the Worldwide Postcard is worth 97p, the current cost of sending a postcard or a letter up to 10g Worldwide. 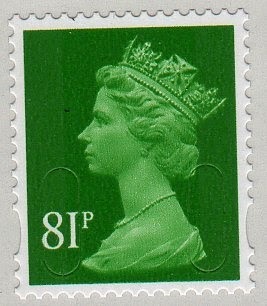 What is the purpose of the 81p stamp? Surface mail basic rate worldwide - Sorry that wasn't specifically mentioned, I'll correct that! I send a few CDs through the post now and again, in jiffy bags that qualify as large letter size, weight around 120gm. To send this first class costs £1.24, so I've been using a hoard of 2012 2nd classNVI stamps + a 20p stamp. This equals £1.26 at current rates. BUT - I've heard that you if you use old NVI stamps in combination, they revert to their original monetary value. In my case that would mean I've actually been underpaying postage, although none of my CDs has been undelivered because of underpaid postage. Therein probably lies the answer, but can someone confirm that when using old NVIs in combination they have whatever the current value of that stamp, and do not revert to their original value? NVI stamps have their CURRENT value, no matter what, even if used in combination. 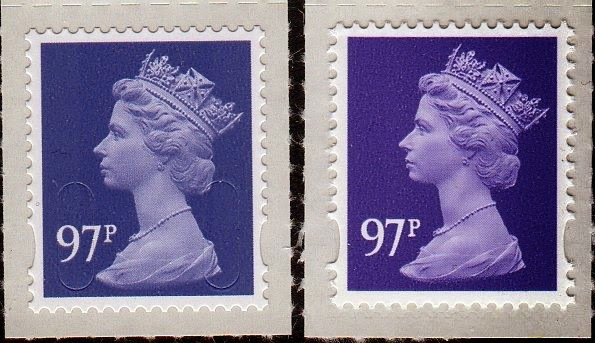 Hence the E stamps are worth 97p, and the 2nd class are worth 53p. I could spend all my time updating the threads from the past 9 years - I could do them all every year in fact. However, following recent questions by email - the best way to get in touch on such old matters - the whole subject was updated on a post on 3 Sepetmber 2018.